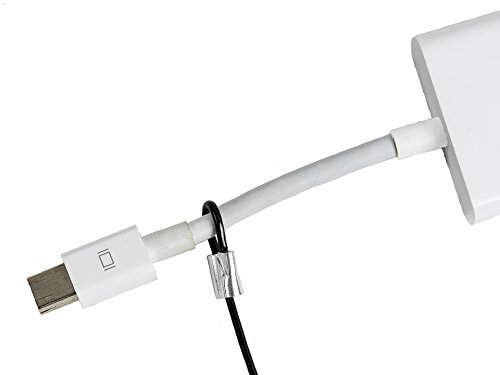 TetherTiesTM are the simple, durable, and super-fast tethering solution for securing video adapters, power cords, and other computer peripherals in conference rooms, offices, classrooms, and public spaces. 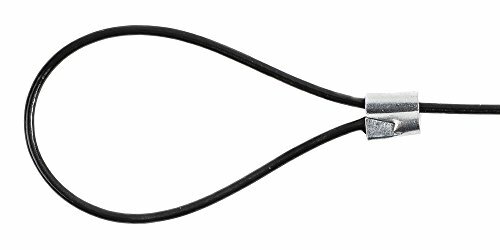 TetherTies are manufactured and pre-assembled in the USA of high-quality, nylon-coated stainless steel wire cable, and install in less than 15 seconds with the FREE included crimping tool. 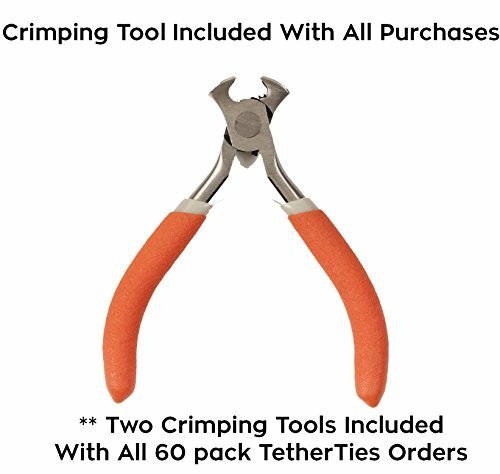 Unlike other products, TetherTies ship pre-assembled and ready to install (no assembly required and FREE crimping tool). Measuring 12" long, TetherTies save time and money spent on responding to and replacing missing computer and AV peripherals due to loss, theft, or unintended borrowing. 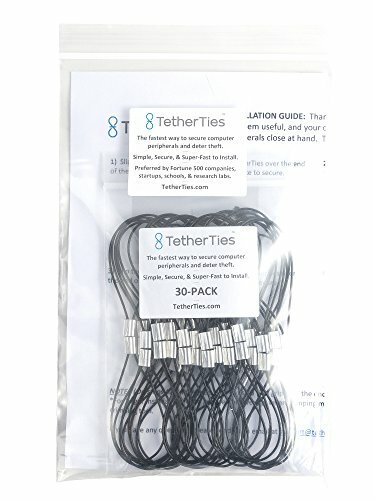 Made with an elegant design, and an ingenious assembly process, TetherTies address an urgent workplace need as demonstrated by the tens of thousands of TetherTies sold each year and the hundreds of companies, businesses, and organizations using them, including hundreds of Fortune 500 companies, universities, academic and US National Labs, private secondary schools, and local school districts. 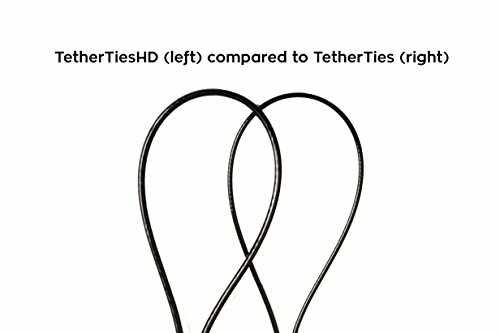 After nearly 5 years of success with original TetherTies, we're proud to launch new TetherTiesHDTM for the first time on Amazon.com. 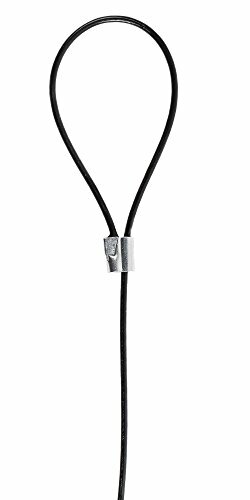 While original TetherTies provide a base level of theft deterrence from loss, theft, and unintended borrowing, TetherTiesHD are a Heavy Duty security device made of 33% thicker stainless steel wire, which is 150% stronger than the already strong original TetherTies. 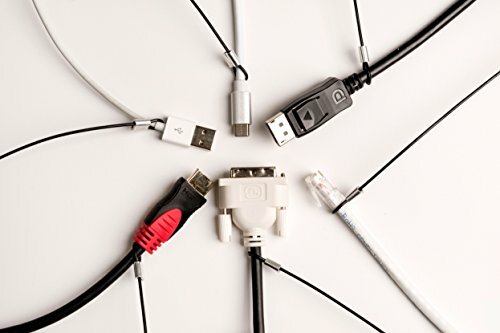 Whether you choose original TetherTies, or new TetherTiesHD, you and your customers, end users, and partners will appreciate the smart decision to secure video adapters and computer cables in all your conference rooms, offices, classrooms, and public spaces. As the purchaser, you will appreciate the high quality, fast installation time - less than 15 seconds each, and great price. If you have any questions about this product by TetherTies.com, contact us by completing and submitting the form below. If you are looking for a specif part number, please include it with your message.